Website design, development, speed optimisation and support. Henri Lloyd is the original British sailing brand designing and producing premium quality clothes. It was founded in Manchester in 1963 and since then created many technical innovations, patents that changed the world of clothing. The company was awarded with the Queen’s Award for Export Achievement. 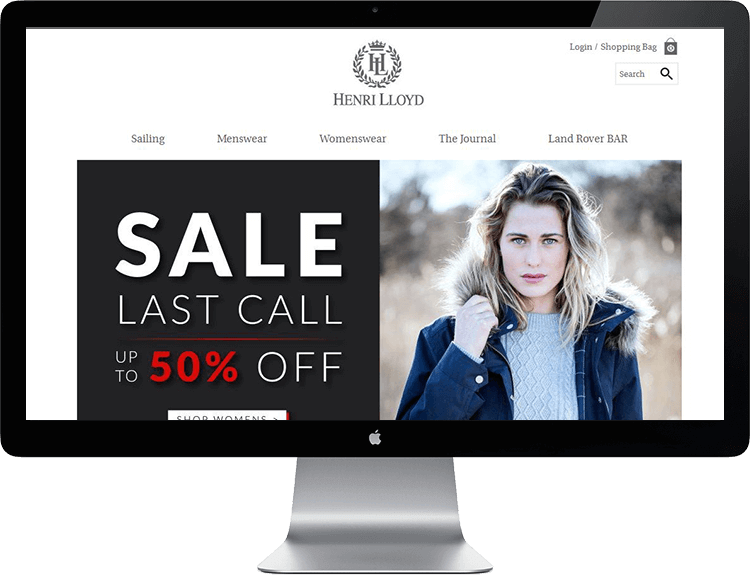 In a long term cooperation we also support Henri Lloyd platform by installing new patches and providing ongoing website development services. Since we launched the new solutions, site conversion rates are up 15% year on year and bounce rates down 45%.